Lelanie Anna Kruger (née Roode) was born in Lichtenburg. 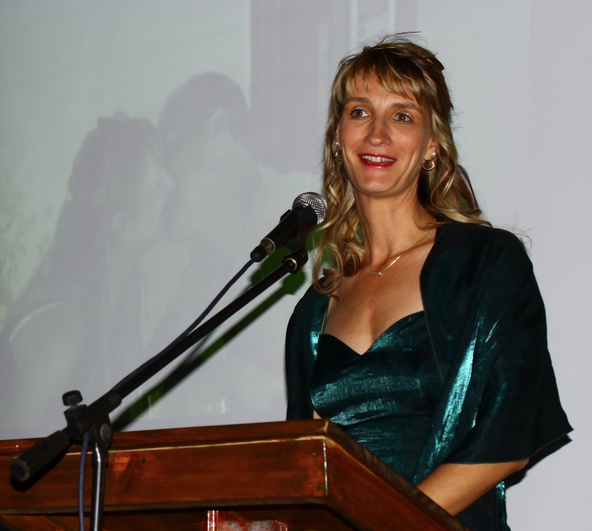 She graduated from Rustenburg High School with distinction in 1988. Leadership positions:	Prefect - Grade 11, Vice head girl - Grade 12, Swimming team captain Grade 10-12, Gymnastics captain Grade 11 and 12, Sunday school Teacher and ACSV-Group leader. Extramural activities: Swimming 1st team Grade 8-12, Gymnastics, Athletics, Ballet, Revue, Modelling and Netball. She studied law at the University of Pretoria, 1989 - 1994 (BLC 1991, LLB 1993, BA hons 1994 (Criminology)). 1988 - 1990: Receptionist and Secretary at Impala Platinum Ltd. Mineral Processes, Rustenburg. She then worked as an arbitrator and law expert at the Rustenburg Magistrate's Court and as a Prosecution and Research assistant at the University of Pretoria in 1991. 1994 - 1995: Executor's Assistant, First National Bank of South Africa Estate Division, Arcadia/Menlyn, Pretoria. 2008: Lecturer for Family Law, PU and freelance swimming coach for children, 2008 - 2011. Lelanie is married to Jan Kruger and they have four children: Anika (born 1995), Ivan (1997) and the twins, Clarissa and Angelica (2002). This sport loving family moved to Stellenbosch in 2011 after 20 years in Gauteng and they enjoy the beauty of the Western Cape. In times of trial some people buy crutches while other learn to fly! 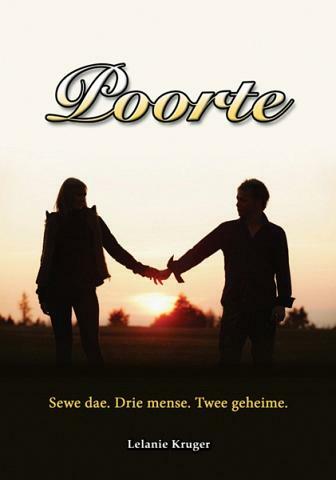 In tye van swaarkry koop party mense krukke terwyl ander vlerke kry! 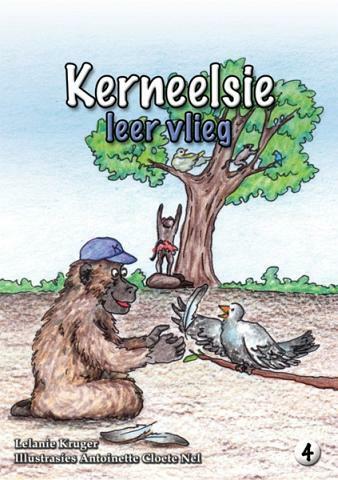 Her first children's books, Kerneelsie Kaskenades - 'n Bundel van 6 Verhale, published in 1999, were accepted at the OFS Department of Education as prescribed book for all Free state Schools.